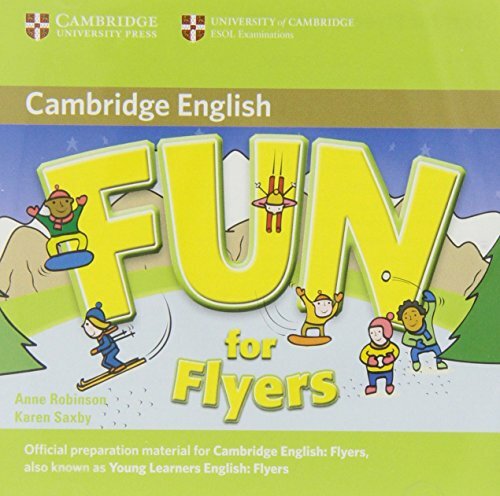 Fun for Flyers provides full-colour preparation material for the Cambridge Young Learners English Test: Flyers. Fun activities balanced with exam-style questions practise all the areas of the syllabus in a communicative way. The material is specifically designed to focus on those areas most likely to cause problems for young learners at this level. The Fun for Flyers Audio CDs include listening material to accompany the Student's Book. The website to accompany the Fun for Starters, Movers, Flyers series includes interactive versions of some activities from the Student's Books.